Insurance group: 32 - 45 How much is it to insure? 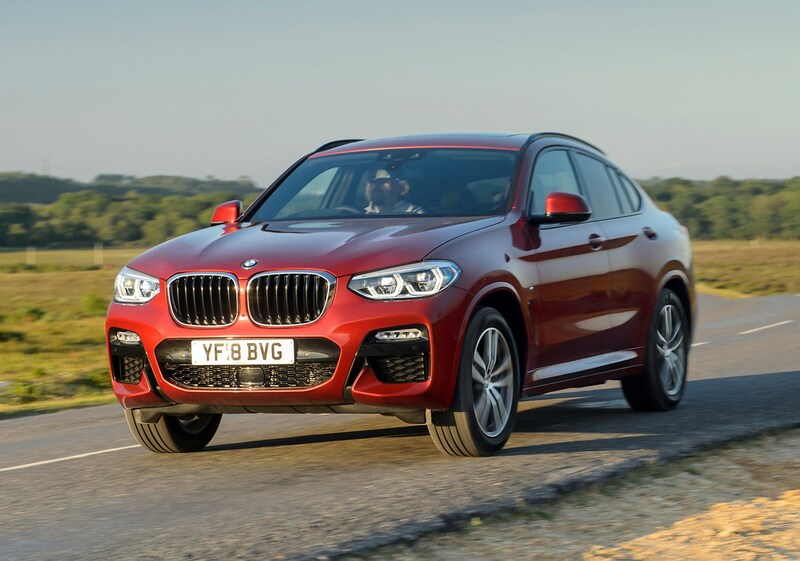 The BMW X4 exists because it’s one of the most fashionable types of car currently going. Some buyers want SUVs for their greater ride height, but don’t want to sacrifice a sporty drive and swoopy looks of the coupes they may have been used to. 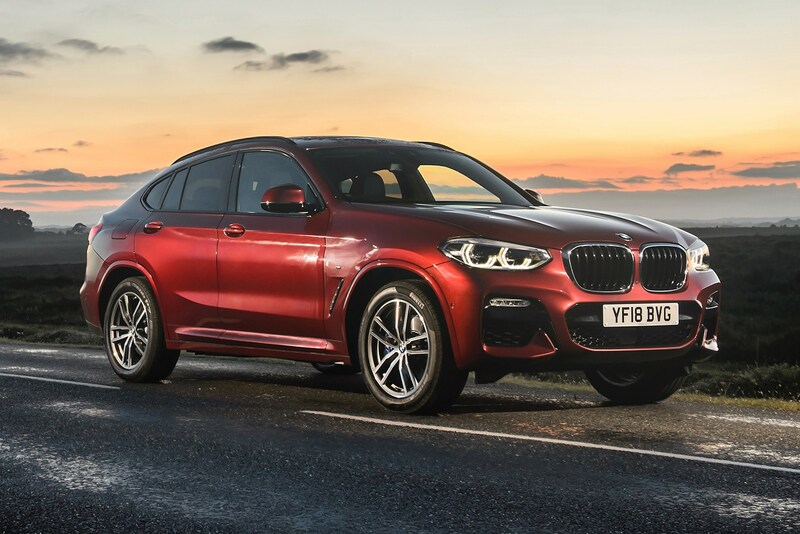 BMW thinks its latest X4 delivers on all fronts, but is it a better option than the regular X3 SUV, let alone rivals such as the Mercedes-Benz GLC Coupe, Porsche Macan and Range Rover Velar? Or should you just stick to sleek cars with no off-road pretensions like the BMW 4 Series Gran Coupe or Audi A5 Sportback? 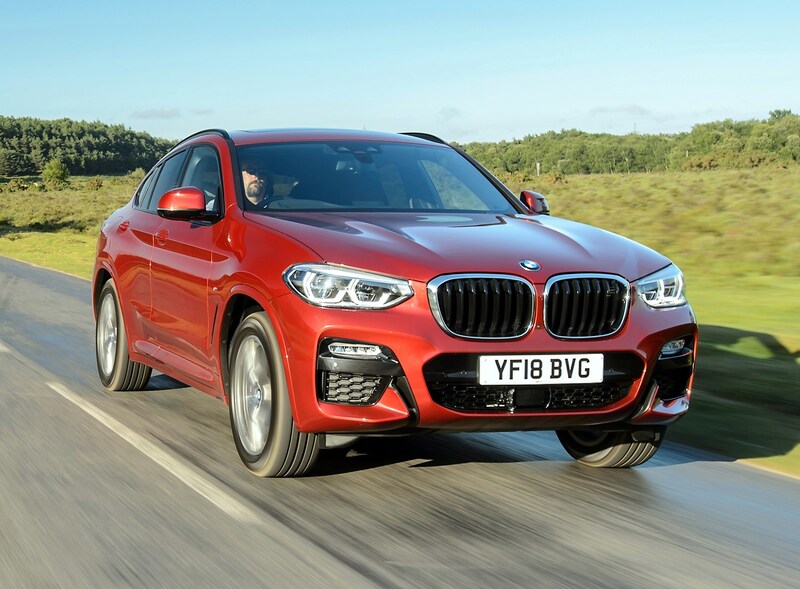 BMW X4 vs BMW X3: what’s different? From the front, you’d be hard-pushed to tell the difference between the two cars. It’s when you view them side-on or from the rear that the visual differences are very clear to see. 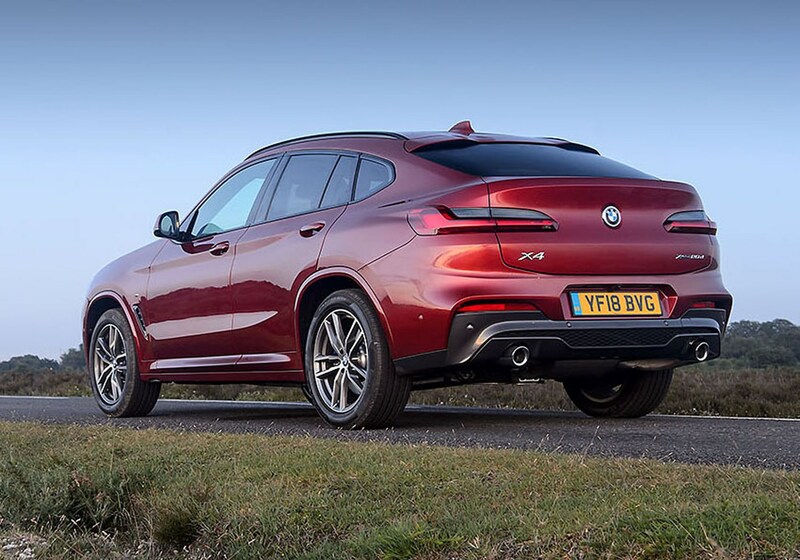 BMW’s even-numbered X-cars are the more rakishly styled versions of the more practical odd-numbered models (X4 vs X3), so the X4 has an aggressively-raked rear end in the style of the coupe, with a unique design for the back of the car. 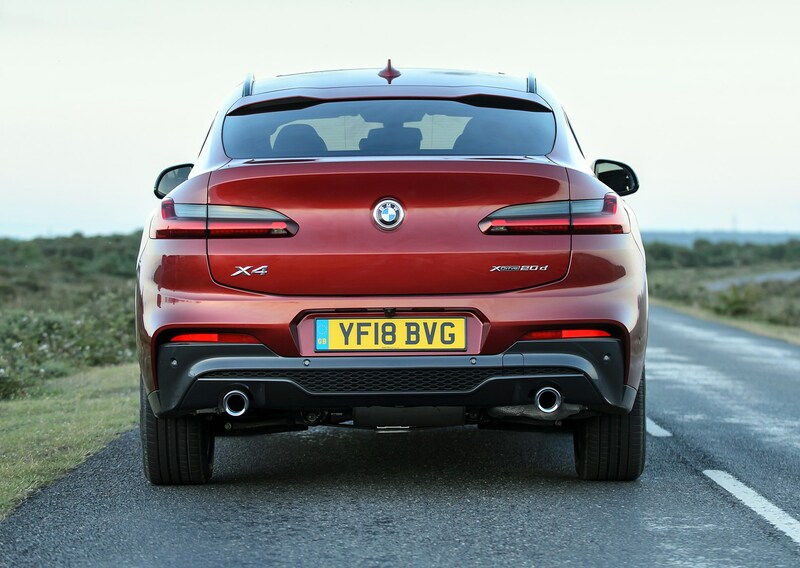 It’s still a five-door SUV with a hatchback-style tailgate, but the X4 has a more purposeful stance (thanks to rear tyres that sit further apart than the X3), and some sportier design elements such as more dramatic-looking 3D-effect taillights and a number plate located lower on the bumper than on the X3. 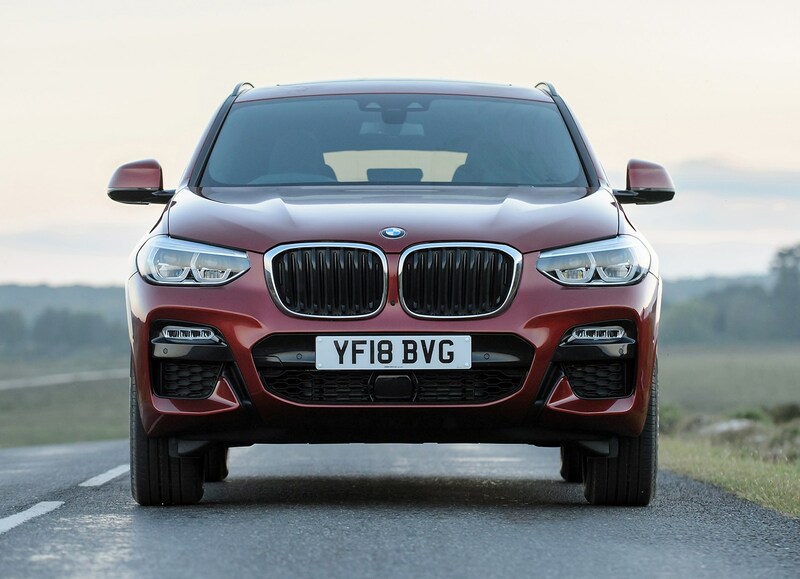 The majority of the X3’s engine range remains in the X4, too, with familiar xDrive 20d and xDrive 30d diesels available (the former will be the big-seller in the UK), while a pair of more performance-focused models are also on the price list – the M40i and M40d. 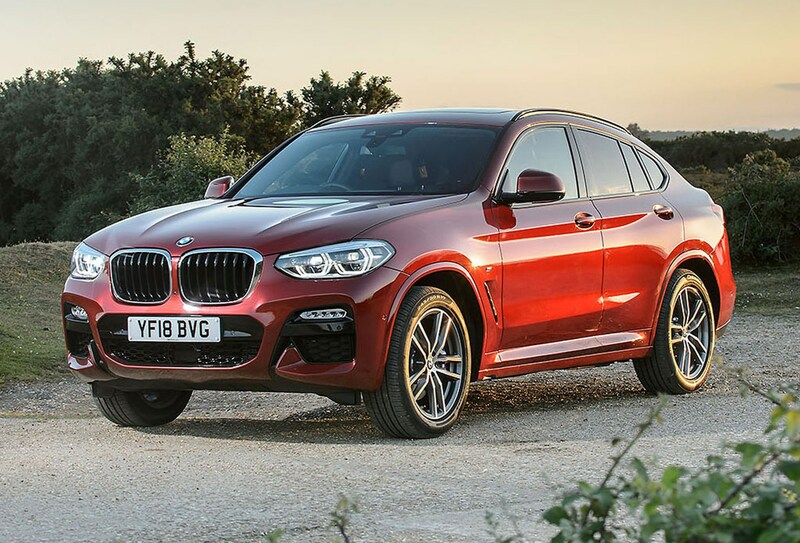 It’s yet to be confirmed whether a petrol xDrive 20i petrol will join the line-up, but as you may have guessed already, all X4s come with BMW’s xDrive all-wheel drive system as standard. 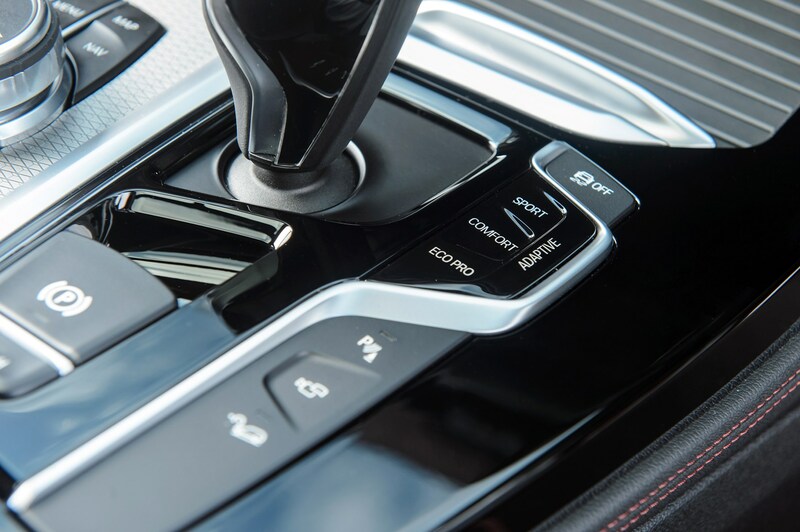 There are no two-wheel drive options here, and all come with BMW’s slick eight-speed automatic gearbox. 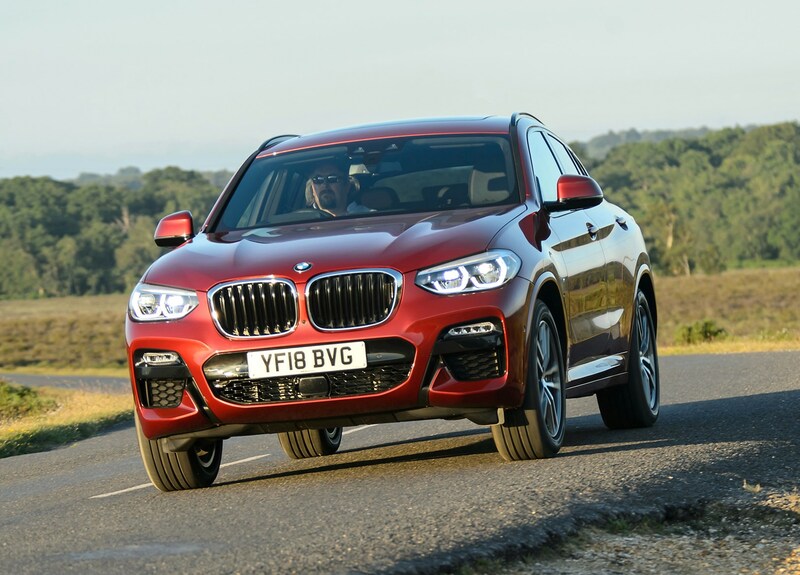 Three trim levels make up the X4 range; Sport, M Sport and M Sport X. The M Sport should be the most popular in the UK, taking the vast majority of sales in xDrive 20d form. 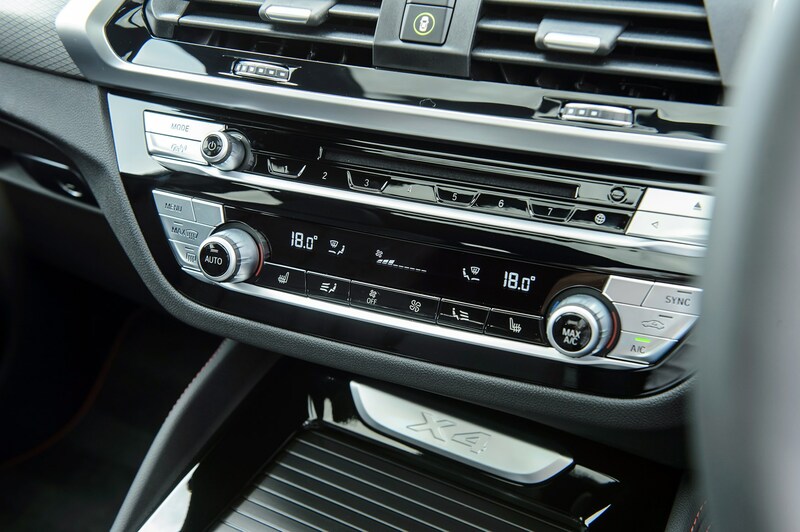 Up front, you’ll struggle to tell the difference between the X4 and the X3’s interiors, with the same high-quality dashboard used for both. The only giveaway is that the roofline is closer to your head and that you feel a little more hunkered down in the X4, plus the view in the rear-view mirror is much more restricted. In terms of interior design and quality, there’s absolutely no faulting the standard of the materials used and how solid it feels. 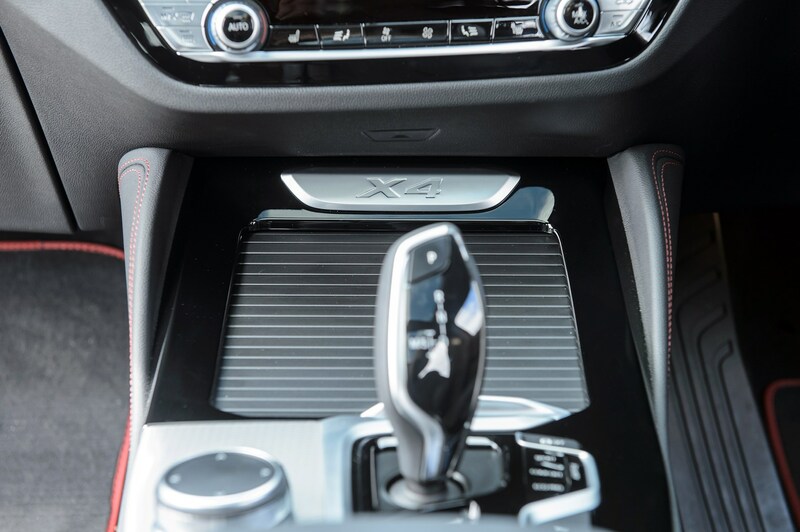 Everything has a nice feel, with pleasant soft-touch leather, metal and plastics used throughout. One issue we have with the interior is that there’s an awful lot going on. Yes, it’s all nicely put together, but there’s quite a wide variety of textures and design elements that we feel could have been toned down slightly. Especially when you consider the classy restraint of something like the Audi Q5. In terms of space, the X4 isn’t as practical as the X3, but that’s no surprise. 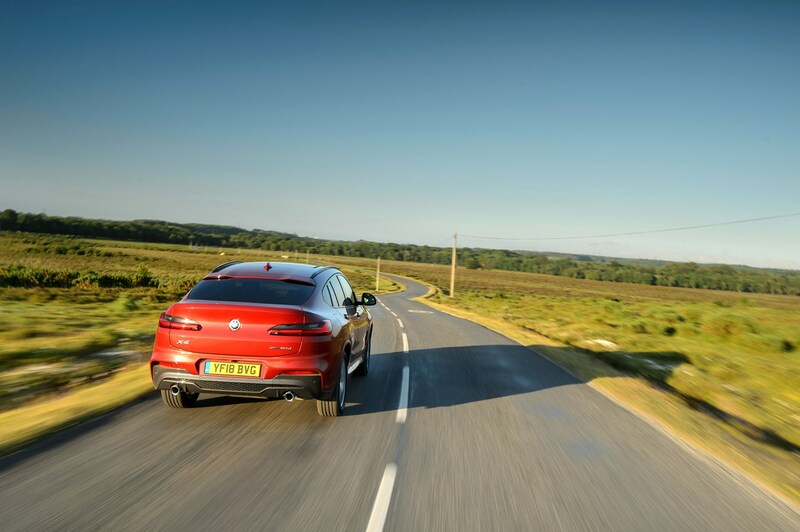 You’ll still fit four adults reasonably comfortably as this latest X4 is longer and wider than the old car, but the sloping roofline means taller adults in the back may struggle for headroom. Boot space is a reasonable 525 litres, too. 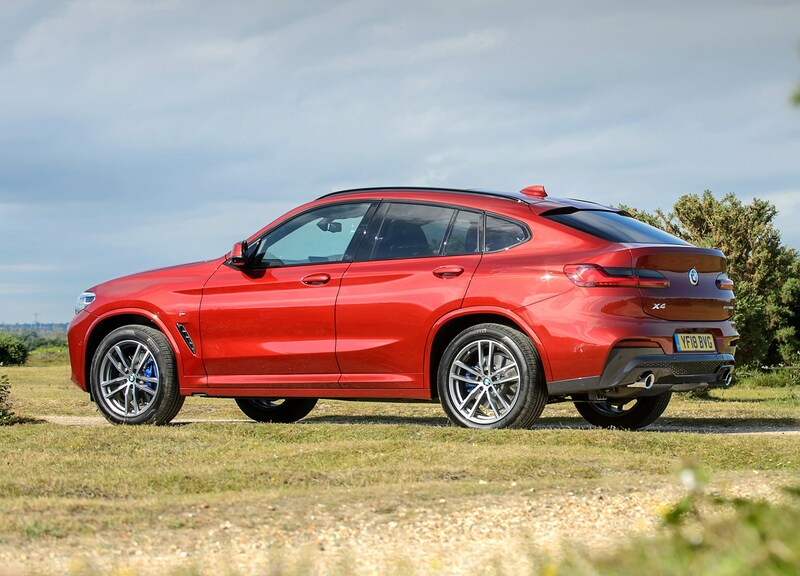 Should you buy a BMW X4? 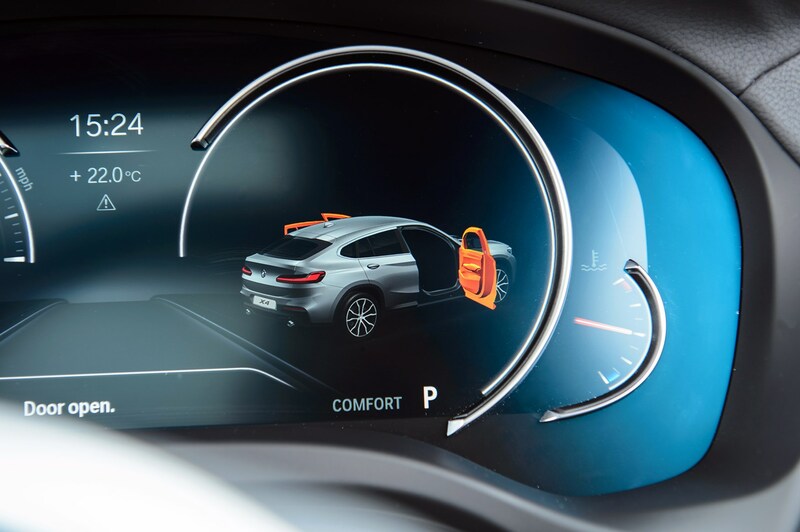 Objectively, the BMW X4 doesn’t make as much sense as the X3 with which it shares the majority of its components. 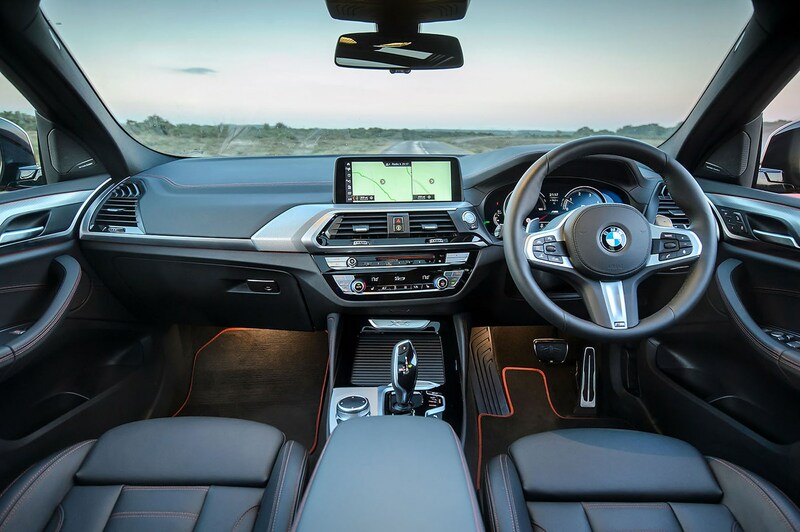 The X3 is cheaper to buy and finance, more practical and more relaxing to drive, and should better suit those who are choosing this kind of car as a family runaround. 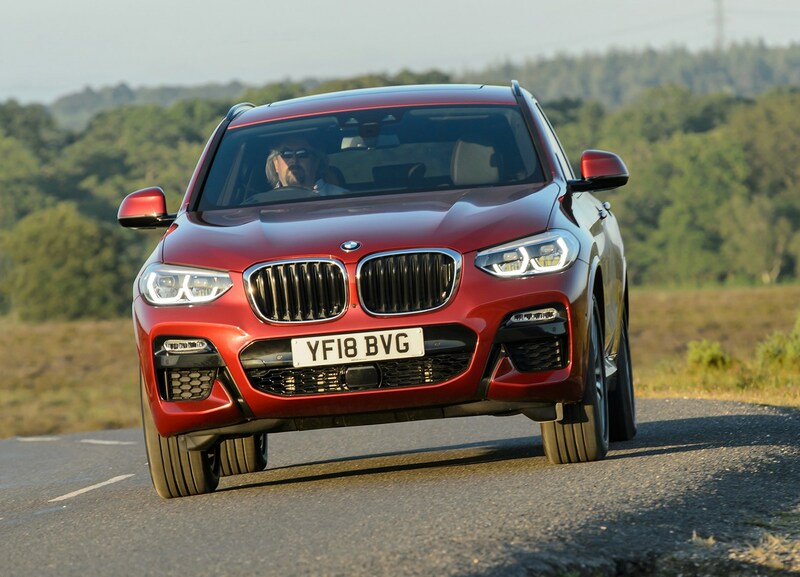 However, if you’re considering something like an X4, chances are your priorities revolve around the way it looks and drives, and the more rakish styling of the X4 and its sportier drive will work in its favour here. 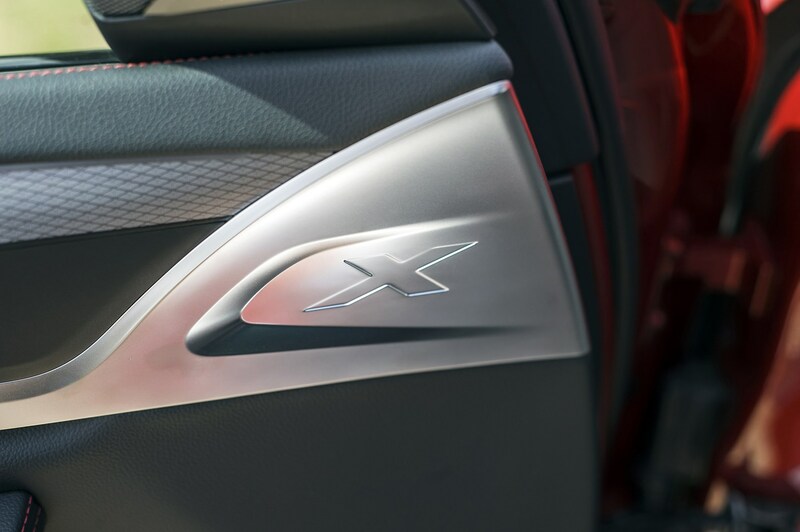 There’s plenty of choice in terms of engines and performance is strong across the range, plus the interior is high quality, but we’d save some money and go for the regular X3 as it’s a much more rounded car.